During his lifetime and in his will, George Herring donated a total of £1.3 million to London Catalyst (or the Metropolitan Hospital Sunday Fund, as we were then known) – something like £25 million in today’s money. 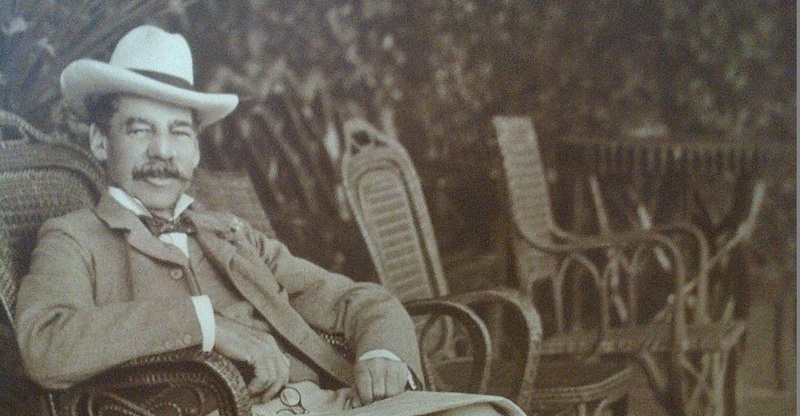 An eminent philanthropist of his day, he was a modest man who avoided the limelight. George Herring (1833–1906) was born in Clerkenwell and brought up in very poor circumstances. It is said that he began his career as a carver in a boiled-beef shop on Ludgate Hill, though this has been disputed. By saving money and judicious betting on horse races, he soon built up his income. He then established himself as a turf commission agent, gradually increasing his business. In 1855 he was an important witness against “the Rugeley Poisoner”, a racehorse owner who was convicted of poisoning a fellow gambler, John Parsons Cook. 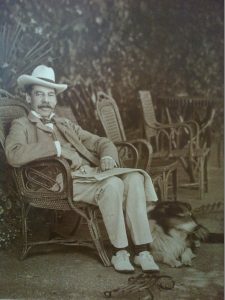 At Tattersall’s and at the Victoria Club, Herring built up a reputation as a man of strict integrity, and was entrusted with the business of many leading speculators, who included the twelfth earl of Westmorland, Sir Joseph Hawley, and the Duke of Beaufort. Briefly, Herring also owned racehorses; in 1874, Shallow, his best horse, won the Surrey stakes, Goodwood Corinthian plate, Brighton Club stakes, and Lewes autumn handicap. 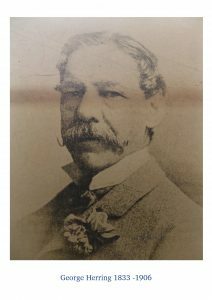 Although remaining an aficionado of the turf and interesting himself in athletics, Herring left the racing world for that of high finance in the City, where, in association with Henry Louis Bischoffsheim (1829–1908), he made a fortune. He was chairman of the City of London Electric Lighting Company, and was connected with many similar ventures. His powers of calculation were exceptionally rapid and accurate. A ‘rough diamond’ with an unassuming lifestyle, Herring spent his remaining years and large fortune on a range of charities. From 1899 until his death he guaranteed to contribute to the London Sunday Hospital Fund either £10,000 in each year or 25% of the amount collected via the churches. Herring also supported a Haven of Rest (almshouses for the aged) in Maidenhead, where he had a house. With Howard Morley he started the Twentieth Century Club at Notting Hill for working gentlewomen, and was a generous benefactor to the North-West London Hospital at Camden Town, of which he was treasurer. In 1887 he first discussed with ‘General’ William Booth the Back to the Land Scheme, the Salvation Army’s plan for relieving the unemployed. In 1905 he proposed to advance £100,000 to the Salvation Army for the purpose of settling poor people on marginal land in the United Kingdom. Once established as petty cultivators, able to support their families, the settlers were expected to pay back the advance, which was then to be given by the Salvation Army to King Edward’s Hospital Fund in 25 annual installments. Herring eagerly defended the scheme when it was criticised as impracticable, and it was put into operation. The sum actually received from Herring was £40,000 under a codicil to his will. With this an estate was purchased at Boxted, Essex, comprising about 50 holdings, which Herring had visited and approved shortly before his death. In accordance with a decision of the court of chancery, the entire control of the scheme was vested in the Salvation Army, with Booth as sole trustee. On 16 September 1872, Herring married Miriam Yates Sanguinetti (b. 1851/2), the daughter of Isaac Yates Sanguinetti, a merchant. He lived a retired life and eschewed public recognition. He died on 2 November 1906 at his Bedfordshire residence, Putteridge Park, Luton, after an operation for appendicitis. He also had residences at 1 Hamilton Place, Piccadilly, London, and Bridge House, Maidenhead. The urn containing his remains, which were cremated at Woking, was buried under the sundial at the Haven of Rest Almshouses at Maidenhead. After legacies to his brother William, to other relatives, friends, and charities, the residue of his estate was left to the Metropolitan Hospital Sunday Fund: about £750,000. On 15 June 1908, a marble bust of George Herring was placed in the Mansion House. On a brass plate beneath the bust is inscribed a letter received in 1905 by Herring from King Edward VII, who warmly commended Herring’s quiet and modest philanthropy. Today, George Herring’s endowment enables London Catalyst to give grants to scores of small charities across London who are working to tackle poverty and ill-health. Find out more about our Project Grants and Samaritan Grants here.